Whazz gud! Fyreflyz is back to bring you the truth and juicy inside information about our bugs! This week’s spotlight is on the newest blood we have on board- Jia Ling! 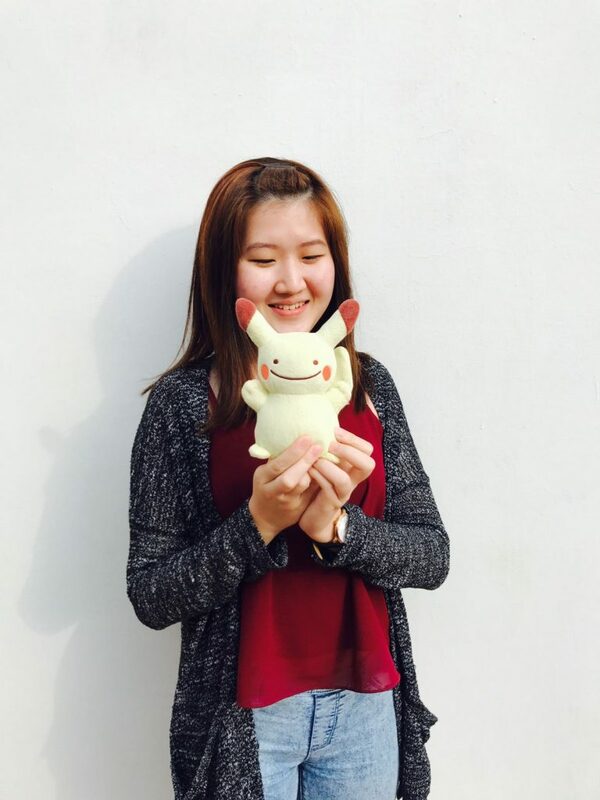 Jia Ling has started her journey with the Fyreflyz Family as an Account Trainee for about 2 months now. Let’s take a peak inside her world! 1. Share a personal fact no one would ever guess about you. I feel that almost everyone who meets me for the first time will insist that I’m an introvert (almost). But what they don’t know is that I used to be quite the contrary – extroverted/outgoing – when I was much younger. “Can I join you?” is what I always ask whenever I pass by other kids playing at the playground. I would ask even the boys if I could join the game. 2. What is the best perk that you have had at Fyreflyz? Snack time?? hahaha! No not really. I guess for me, the perk is something intangible, like… having the autonomy in the way of working? In Fyreflyz, I was pretty much given the freedom to manage my own work/projects/progress. Of course my mentor/superior still guides the overall process, but for me that’s more like a sense of support and assurance. That I can still fall back onto them for support if anything goes wrong. We work as a team and we support each others’ work and well-being. I like that there’s no one dictating that I should do things this way or that way – as long as I get my work done (and WELL), and that I’m accountable for my own work and actions. 3. What is one thing that you think everyone in the office have in common? Hmm.. It’s impossible pinpoint one single thing. I think we have quite a few things in common! The never say die attitude? The need to constantly better oneself? Sounds cliche but there’s truth in that! Though I haven’t been part of the Fyreflyz team for that long, I see the common thing that strings us together is that we are here because we want to – because we believe in the work that we do! 4. What do you think should be taught to kids in school that wasn’t taught during your time?